Eat all the cookies! Run all the miles! Do you identify as one or more of the following? If so, this is the (virtual) race and online community for you. Take on the Cookie Trot: 10 Mile Challenge with your friends and family! 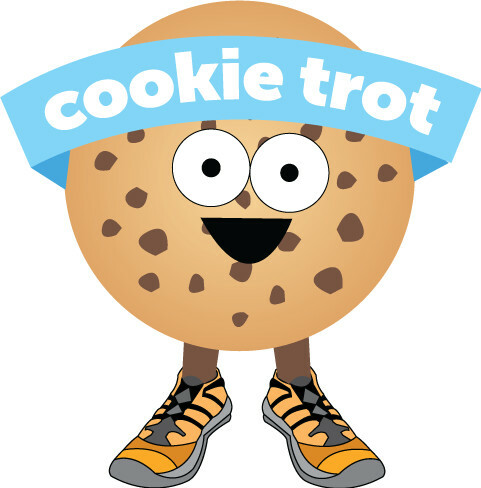 Create a Cookie Trot Team - when the 5th member joins, you will all receive a $5 discount! Share your referral code with friends - when you refer 5 or more participants, you will receive a free entry to the Cookie Trot! Share your 10 Mile Challenge Results! Post your Cookie Trot: 10 Mile Challenge photos to Instagram and Facebook - use #CookieTrot! And if you eat 2 dozen cookies instead of going for a run - we want to share those stories too! Use #CookieTrotFail to share the challenges you face along the way!